Large Variety of All Natural Bath, Body and Beauty Products at Affordable Prices, because Everyone Deserves to Bathe Like Royals! 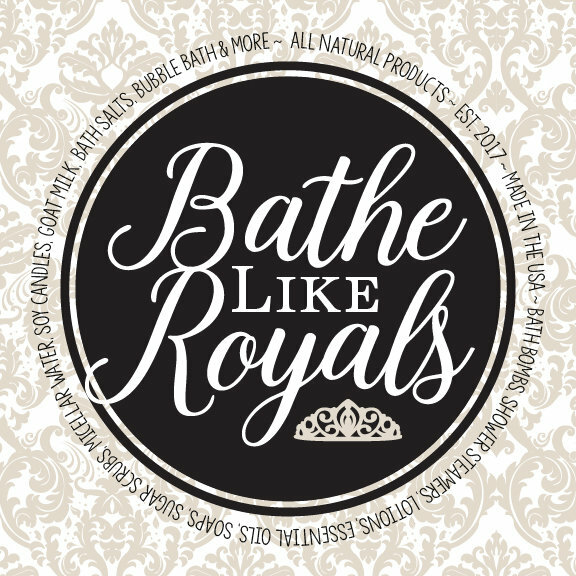 At Bathe Like Royals we strive to offer the highest quality bath, body and beauty products on the market. We use the finest ingredients available, natural and organic oils and effective active and natural preservatives. It is our goal to meet the highest standards of the personal care industry. Our Goal: To offer a wide variety of all natural products from Bath Bombs to Lotion to Soy Candles to Essential Oils to Cosmetics and more! We want to offer all of these amazing products to you at a price point that will not break the bank. Please note that though we offer a large variety of all natural products, this does not mean ALL of our products are all natural. We are transparent though so you can easily look at the ingredients for all of our items! Love our products so much you want to get a discount AND earn commission on referred orders?! Check out our Affiliate Program section of the website for more information about joining our Affiliate Program. As an Affiliate you can save 25% on personal orders and make 20% commission on orders referred to us. Bathe Like Royals is less than 1 year old and currently only selling products via our website and Royal Affiliates. Want to find an Affiliate near you? Email us today and we will get you in contact with your closest Affiliate! Please note, as of right now we do not have an actual store front. Thank you.